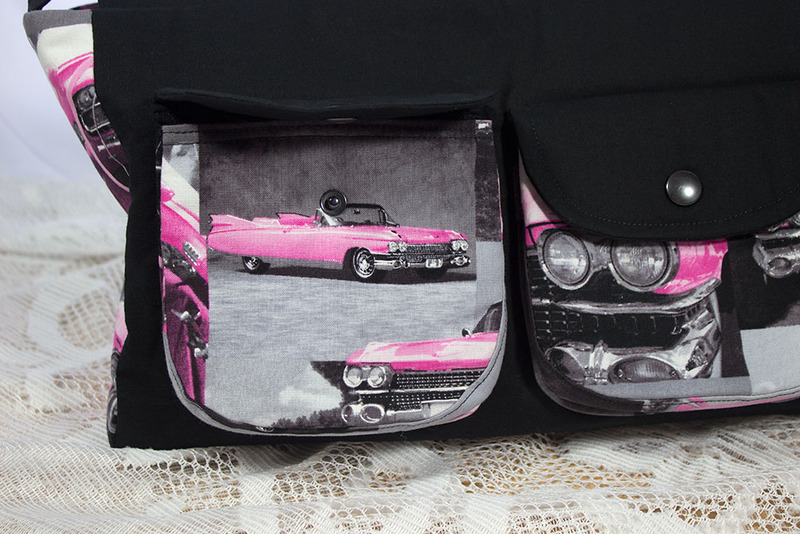 Dotty box, New York and Pink Cadillacs. 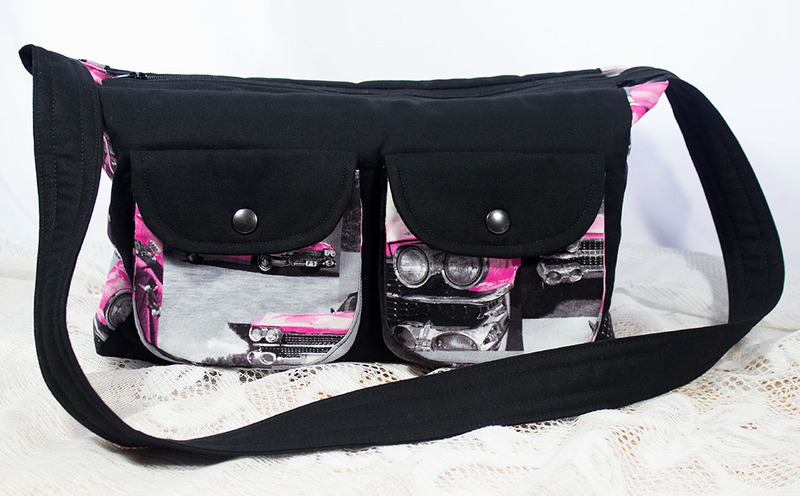 All of them have my signature key strap, my own label and pockets inside. These little thing is the one that was giving me horrendous grief. It's a lovely little bag now it's finished and I will make more, but won't use the suggested interfacing as it's far too bulky and I'll put the zip in my own way too, lol. Another new style for me. Fiddly and time consuming, but I love it. This has a zip pocket on the back too. Re: Dotty box, New York and Pink Cadillacs. They will sell, quickly to I should think, fab. 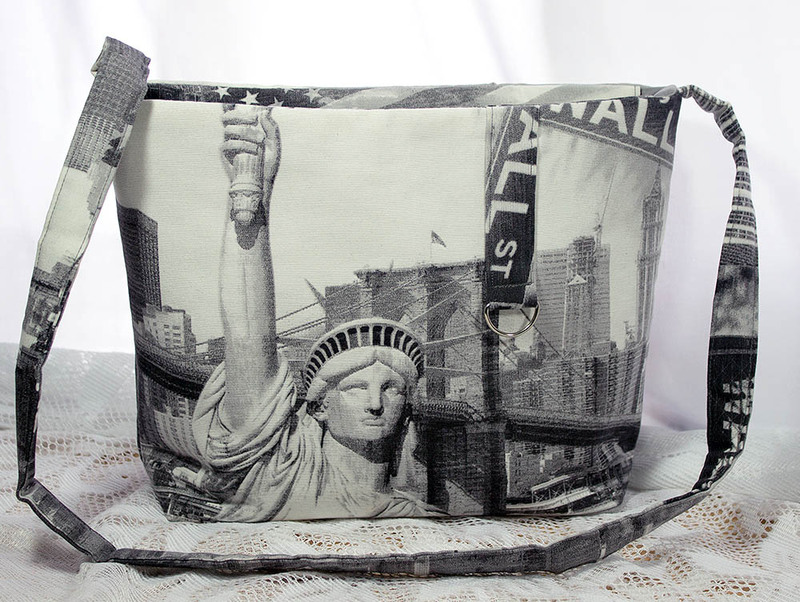 They are great, fun fabrics you've used. 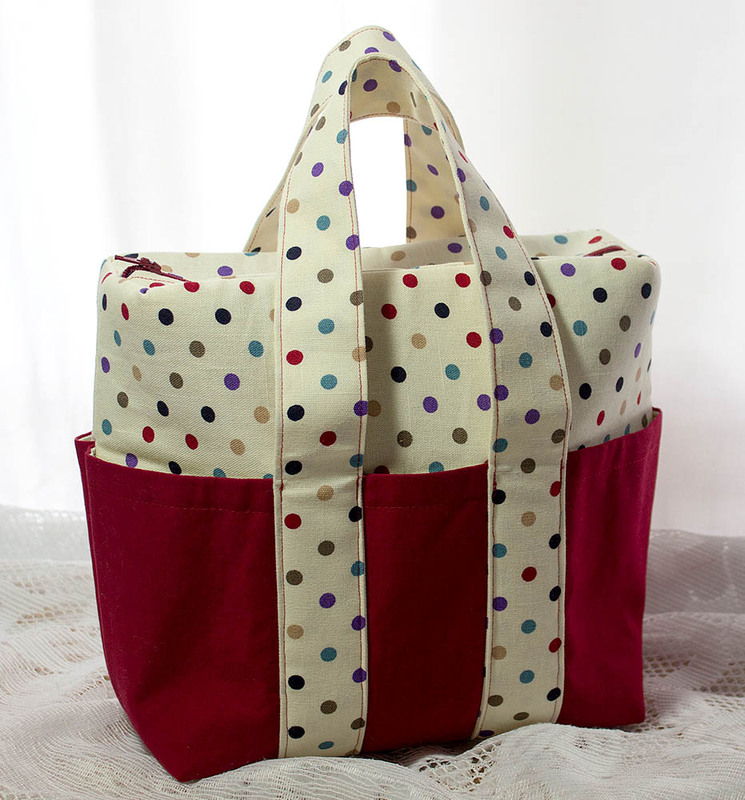 Great bags Lorraine, love the dotty one. 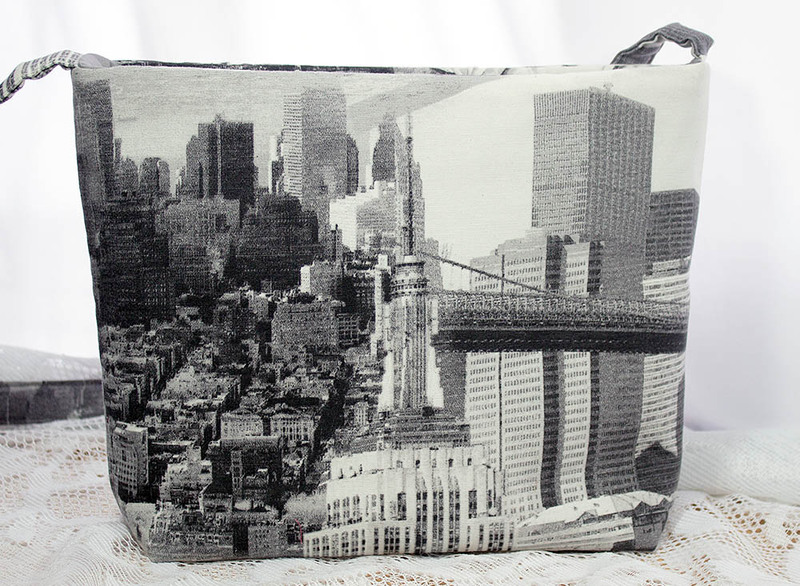 Great bags, love the New York fabric. all three are lovely bags lorraine .